Circa 1949-1960. The original Fiesta dessert bowl was initially thought of as the Fiesta fruit bowl by its maker, designer Frederick Rhead. 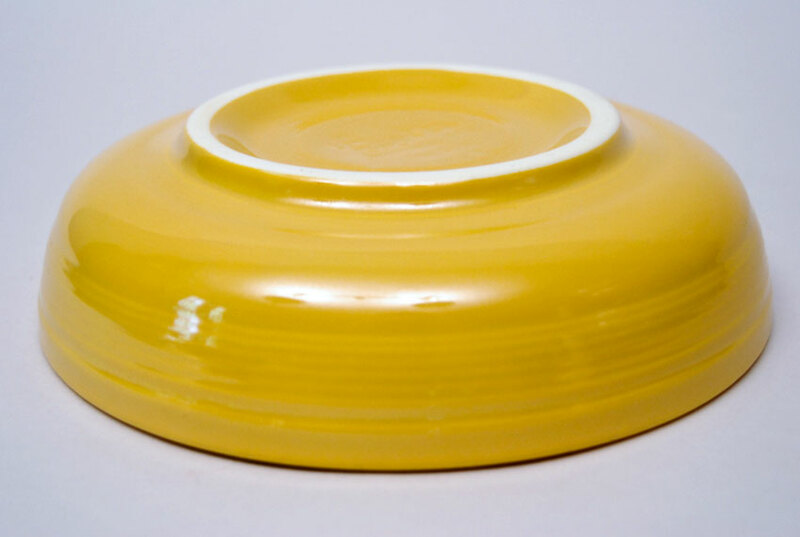 The outside rings were formed by the mold while the inside was then hand jiggered which we see in the inside ring variation, pattern and depth. 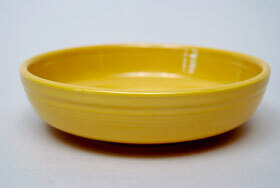 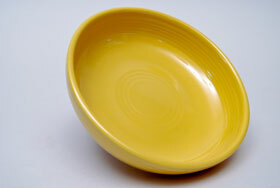 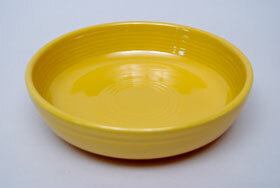 A popular bowl, produced for the entire length of the original Fiesta line. 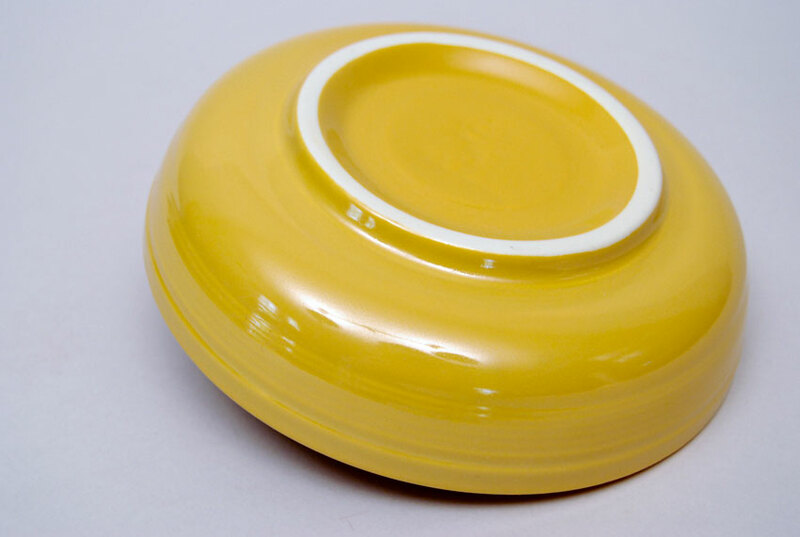 This yellow example is in excellent condition with wonderful color and shiny surface. Great proportions and sturdy, thick walls make this a very usable bowl, stacks great, measures 6 3/16" w x 1 9/16" tall. 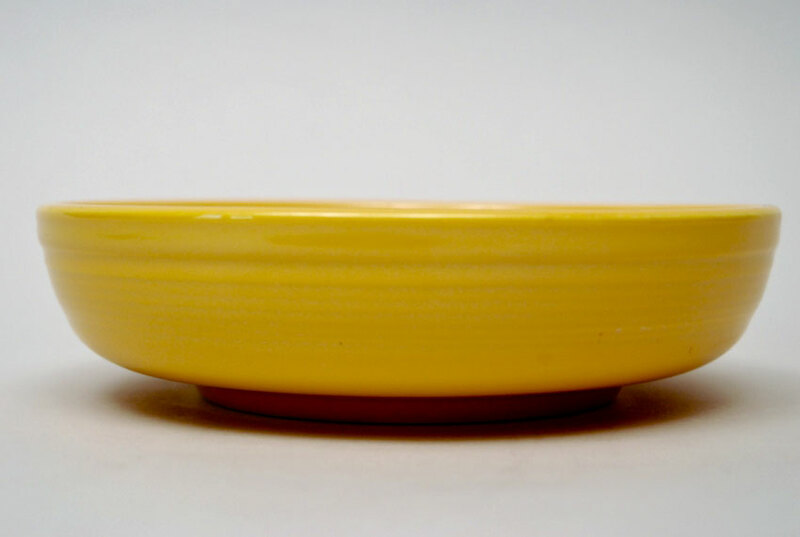 Marked in the mold on the bottom.